The coming of a new year is the perfect time to take stock of your life, and decide whether it’s going where you want it to go. Chances are, you have room for improvement. (We all do) But how do you make it happen? You know that if you keep doing the same stuff you’ve always done, you’re only going to get the same results you’ve always gotten. Yet change is hard! Trying to force yourself to get up extra early and exercise… to leave off the desserts… to quit your job and become an English teacher in Taipei… or whatever it is you want to do with your life, is easier said than done. Chances are, you tried that last year. If it worked, great! You know exactly what to do. If it didn’t, then that’s probably why you’re reading this. Never fear. There is hope. 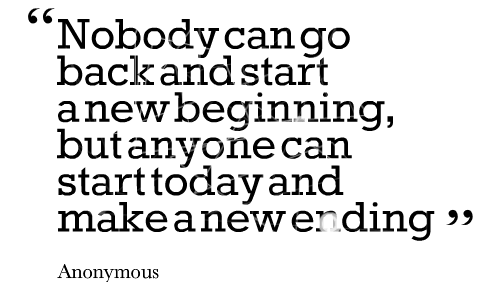 There is a 7-step formula to writing your New Years resolutions that won’t just make you stick to them, it will make sticking to them easy and convenient! HOW TO PLAN AN AWESOMELY SUCCESSFUL 2014! Write each new year resolution down, on paper. Not sure how to write an effective resolution? Here’s what you do. Start by making a list of everything you need, like money to pay the rent. Then, make a list of everything you want: the abs, the car, the charisma, the not having to worry about money and being able to spend your afternoons reading a book. Now, compose your resolutions, asking yourself these 9 following questions for each one. 1. Do I really want this? Or is this just to “sound good,” or because I think it’s easy to achieve? 2. Does this contradict any other resolution? If so, adjust one. 3. Would this conflict with others — like others around me? If so, work out the differences. 4. Is it positive, instead of negative? Your resolutions are about what you want, not what you want to get rid of. A washboard stomach, not losing fat. 5. Is it detailed? If you want something, include all the detail you can, even the model number! 7. Is it high enough? If you really want something, you’ll find a way to achieve it. But if you set the bar low, you’ll only limit yourself. 8. Am I including the personal changes I need to make? Chances are, you’ll need self-confidence and determination, among other personal qualities, if you’re going to achieve your goals. Every day as soon as you wake up, read your resolutions. Then, just before you go to sleep that night, read them again! Make sure to leave plenty of room on the paper or in your notebook for adding new ones throughout the course of the year. As you progress towards achieving your goals, you’ll come up with new ones. 3. Read your resolutions out loud! You can do it in the mirror, or just to yourself, but read them out loud. Saying something out loud impresses it more deeply on your mind, which keeps you working towards them. Every time you read your list, visualize yourself achieving each one. See yourself looking in the mirror, feel the soft leather seat and powerful acceleration of your new car, or hear the crashing ocean as you sit on the beach. The more detailed your visualizations, the better they work. You learned about this a bit already. Your resolutions absolutely must be positive. Think about what you want to have. Resolutions to get rid of something don’t work. When you make your resolutions, you probably have things you do want to get rid of, but don’t write them that way. Figure out what getting rid of those things will bring you… and write your resolutions about that. You can’t resolve to change other people. Sorry, but it mostly doesn’t work — and when it does, there’s always so much “blow back” you end up two steps back for every one step forward. Just like with visualizations, the more detailed your resolutions are, the better you’ll be able to achieve them. In many respects, you’re writing a “purchase order” for your mind. You’re telling yourself what to go out and get… and when you’re in the thick of it during the year, all you’ll be referring to is this list. So tell yourself exactly what you want, and there will be no confusion. Oh, and almost forgot. There is one more step. Start now! Procrastination and drifting along is the only thing that can really keep you from achieving your resolutions. So write them now!